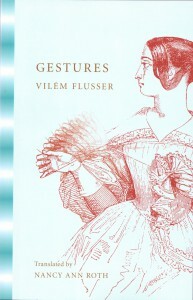 Flusser tentatively defined the word “gesture” as “…a movement of the body or of a tool connected to the body for which there is no satisfactory causal explanation” (Gesten, Bollmann 1991, 8). The English title has lost a direct reference to phenomenology, but the book still reads like the record of a thinker whose mind thinks phenomenologically–and this with grace and imagination. He looks at gestures as means of conveying phenomenological intention, a term that phenomenologists use in describing consciousness. 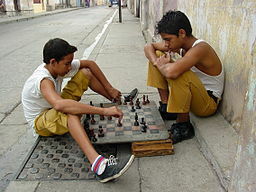 By bracketing out “common sense” understandings of gestures, by refusing even, say, the “obvious” fact that people are separate from their tools, he begins to identify characteristic patterns of movement for painting, writing, photographing, etc., and to associate each with a particular kind of consciousness.